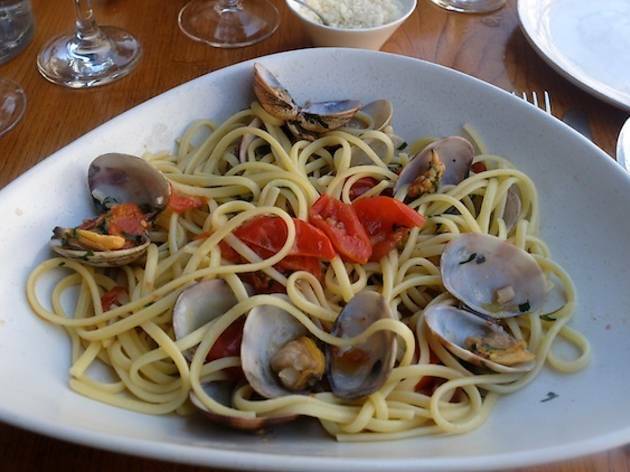 Michele dalla Vale’s Pisan cooking is simple, comforting and refreshing in equal measure. 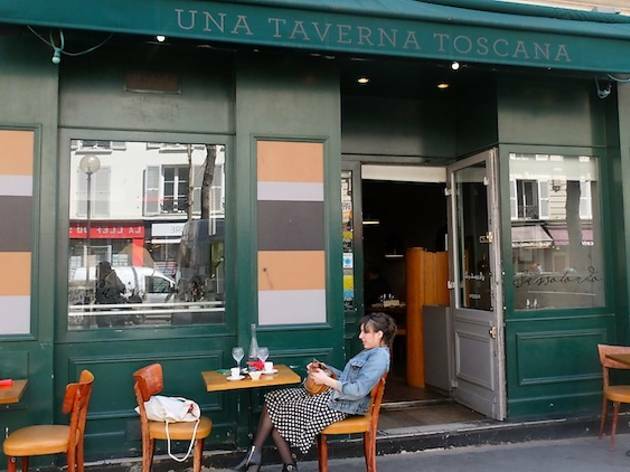 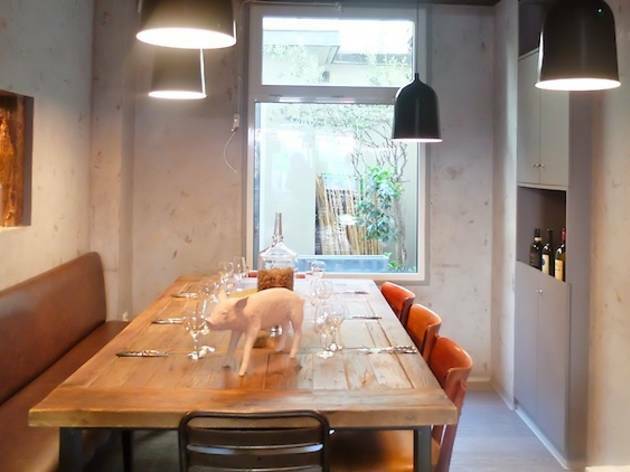 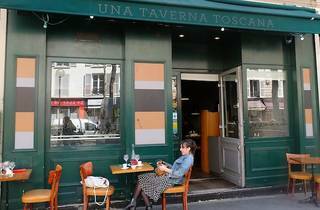 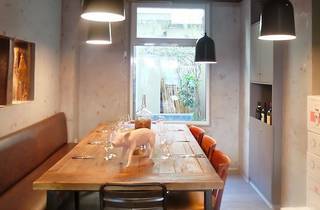 It’s not every day you stumble upon a charming Tuscan terrace in the middle of Paris, but Sassotondo offers just that. 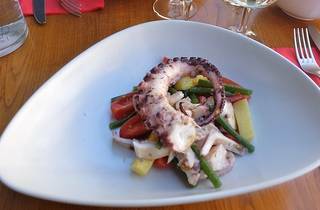 Pisan chef Michele dalla Vale is the creative mind behind this trattoria, which proposes a substantial lunch menu of starter and main course (€21), packed full of fresh and seasonal ingredients. 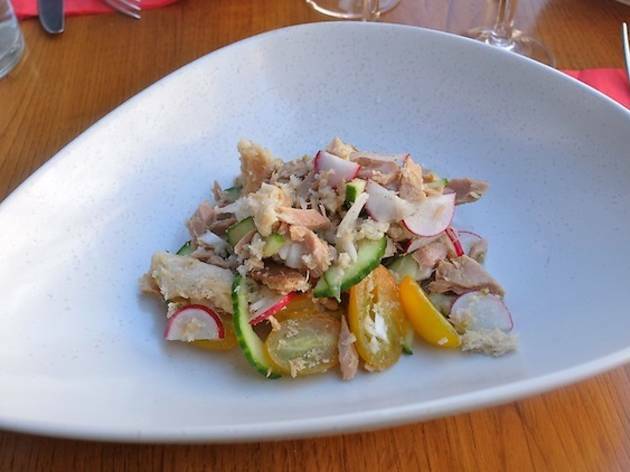 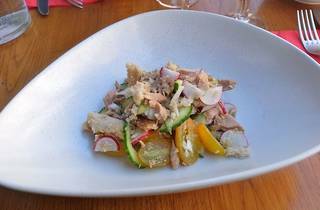 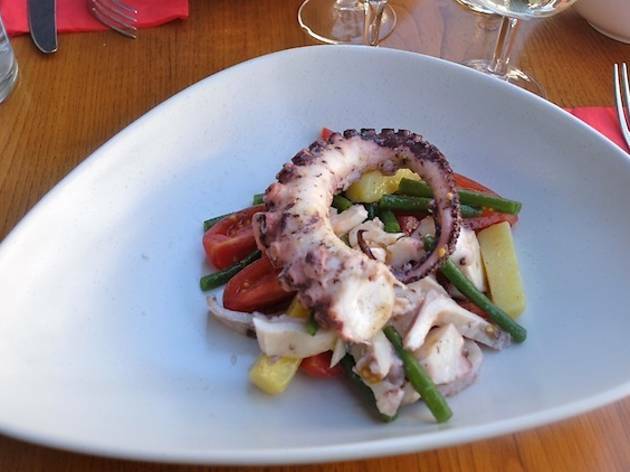 To start, we recommend a brilliant plate of octopus with perfectly al dente potatoes, tomatoes and crunchy runner beans, or the panzanella (a traditional Tuscan salad of tuna, cucumber, tomatoes and runner beans), which is simple yet remarkably energising. 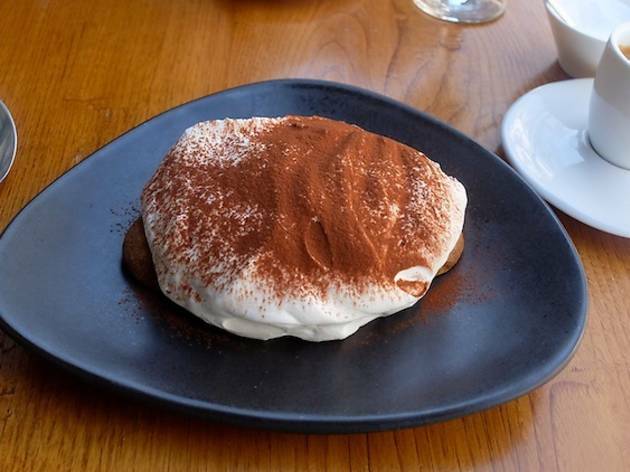 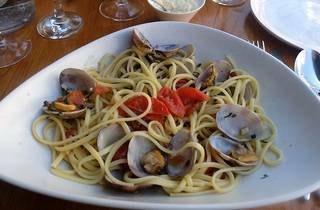 Mains include things like a delectable clam linguine (the pasta is, of course, freshly made on site), while a dessert of home made tiramisu is light, creamy and delicate – just as it should be. 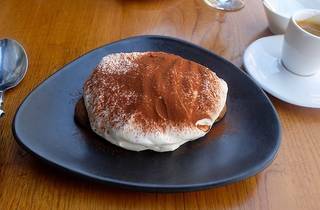 Come back in the evening for a four-course blowout (antipasti, primi, secondi, dolci) and sit one of the outsize wooden tables in the bright space inside.